It’s very easy to get wrapped up in the business of our modern day society and fall into unhealthy habits. The problem most of us face today is to find a way to live to be healthy – eat well, take care of yourself, honor your body, create sustainable healthy habits all while “keeping up” with the speed of this world. Is that even possible? To be honest, I am not sure. Personally, for me, it’s been a work in progress. But what I do know is that by keeping things simple life seems less overwhelming and more enjoyable. One of the first areas I started practicing simplicity was my diet. After all, that’s the one part of our lives that often get’s to be super complicated and the cause of many worries. Since when did the question “What should I eat?” become so complicated? In the good old days, people didn’t worry so much about food choices. Many families lived off the land and eating food that they grew on their own. Food wasn’t always plentiful. Growing a pot belly or not fitting into their skinny jeans was not on their worry list. I’m sure they also didn’t obsess about counting the percentage of fats, carbs, and protein they consumed on a daily basis. Fast forward to today. Food has done a 180. Overeating is now the prevalent problem. Also making smart food choices can be quite complicated when you consider the constant overload of confusing and often contradictory nutritional information and the latest dietary recommendations and advice from experts and even celebrities. Eat more whole fresh organic fruits, vegetables, herbs, nuts and seeds and eliminate as much processed packaged food in cans, boxes, bags, and plastic as possible. Seek out local food. Stay hydrated by drinking clean water. That’s it. It’s this SIMPLE. 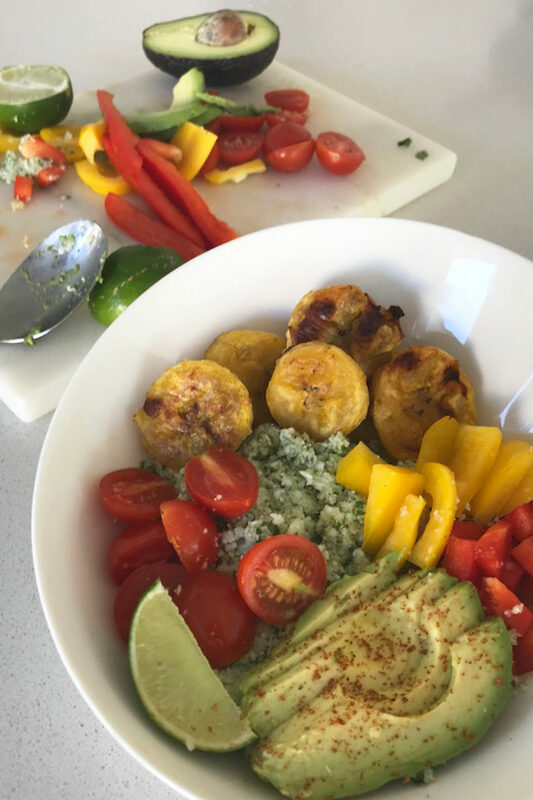 A simple, nutritious vegan bowl with raw cilantro-lime cauliflower rice, fresh colourful veggies and baked plantains. Top with a dash of cayenne pepper and a generous squeeze of lime juice for a quick satisfying meal. Toss sliced plantains with coconut oil and a pinch of sea salt. Arrange them in a single layer on a baking sheet and bake, turning occasionally, for 10-15 minutes, until plantains are golden brown and very tender. Close eye on it, once finished, remove from the oven and set aside. Meanwhile prep the rest of the dish. Remove the core from the cauliflower and chop the rest coarsely into florets. Place half of the cauliflower + fresh cilantro in a food processor and pulse until the cauliflower is small and has the texture of rice or couscous – don’t over process or it will get mushy. Place rice+cilanrto "rice" in a large bowl and repeat the process (minus the cilantro) with the remaining cauliflower. With all the "rice" cauliflower in a large bowl add in juice from one large lime and sea salt to taste. Toss it well. 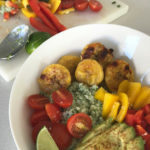 To serve, layer "rice", bell pepper, tomatoes, avocado, baked plantains, and any other desired fresh toppings of your choice. We personally enjoy a dash of cayenne pepper and extra lime juice. How To Succeed With A Plant-Based Diet? 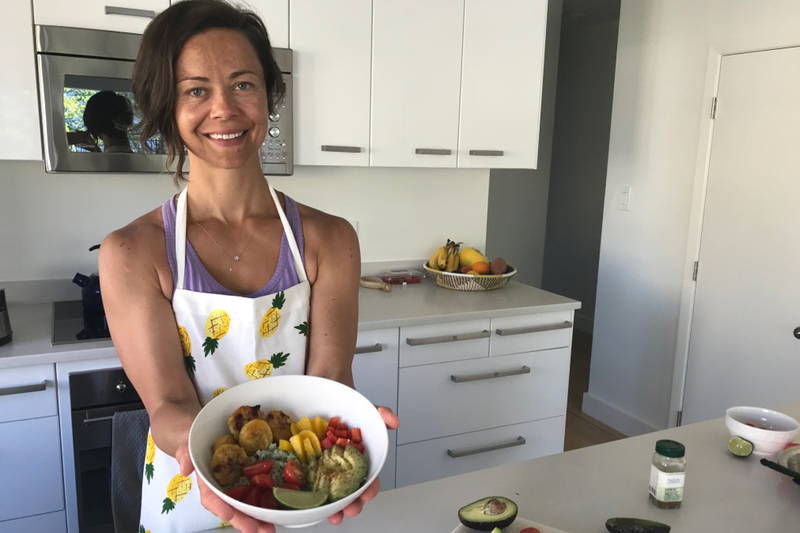 Jumping into cold water and going 100% whole food plant-based overnight may work for some, but it takes a lot of willpower to maintain this lifestyle. The change can be so overwhelming that many fall off the wagon after a couple of days and head back to their old habits. Of course, this is highly dependent on where you come from. The change won’t be so bad if you are already following a diet that is plentiful in fruits, veggies, whole grains, legumes, and nuts and seeds. From our own experiences and stories of countless other people in the movement have proven time and time again that a gentle approach to changing one’s lifestyle is much more sustainable. Because we want you to succeed and reach your own personal goals, we created a step-by-step guide to help you on your journey. 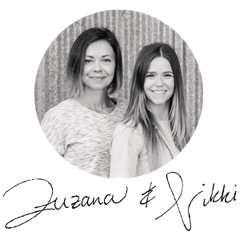 Our goal is to provide you with guidance, motivation, and hands-on advice to help you live a Healthy, Fit and Vibrant Life.